In 2008, Missouri Star Quilt Company was founded in Hamilton, Missouri as a family business providing an array of quilting supplies. Their storefront has since blossomed into a thriving quilting community with a host of ecommerce sites shipping over a million orders annually, a YouTube tutorial channel with over 400,000 subscribers, and 14 quilt shops in Hamilton employing over 300 people and drawing 100,000 yearly visitors. Alan Doan, Co-founder of Missouri Star Quilt Company, guided the company’s online strategy as a startup. Email Marketing Manager Cheyanne Hefley now oversees the company’s email program, finding new ways to serve customers with email. Many ecommerce businesses use email as a way to harass a recipient into buying. We have a philosophy that every time a customer opens an email from us, their life can be better: they’re more inspired, more empowered to create something. We’re constantly asking ourselves, what’s in it for the customer? While we mention our products, and email drives a big part of our business, the point is not to get you to buy, but to touch you in a way that you actually care about. Missouri Star Quilt Company customers are highly engaged and every email campaign needs to represent the brand well. Email deliverability and flexible email sending tools are key to enabling this great user experience. Match their customer-centric sending philosophy by always providing value. Give the team a holistic view of what customers receive by combining marketing and transactional email under one platform. Help the company drive engagement and revenue from email. “We want to increase open and click through rates by 10% year over year,” says Cheyanne. With open rates at almost 40%, this is no small task for the team. An easy-to-use email editor so she can quickly create or duplicate campaigns, add content, review and test emails, and send. Detailed statistics for understanding email performance, and email activity for troubleshooting with visibility into the delivery flow of every message. Easy contact segmentation based on custom fields or email engagement. “We’ve used segmentation to send apologies and coupons after Black Friday shipping delays. These emails had very positive reactions for us and drove traffic and revenue,” says Cheyanne. In addition to account and purchase- related transactional emails, the Missouri Star team sends their popular Quilter’s Daily Deal email through SendGrid’s APIs. To create the Daily Deal email, Cheyanne updates their website with the latest discount. The content is then pulled via API into the Daily Deal email template and sent through SendGrid. Cheyanne uses SendGrid’s dashboards to track email performance metrics and Google Analytics to track revenue from email. “As we’ve grown, SendGrid has supported us. 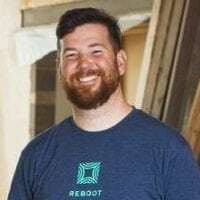 In addition to helping us run our business well and make it to the inbox, SendGrid has always encouraged us to be exploratory and try new things with our email program” says Alan. With an overall delivery rate of over 99%, Missouri Star Quilt Company has built a healthy and revenue-positive email program on SendGrid. The Quilter’s Daily Deal email is enormously successful for the company. 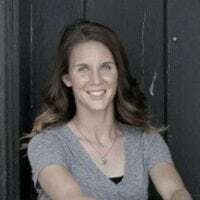 “It takes me around 5 to 10 minutes per day to update the content, and on average the Daily Deal email accounts for about 47% of our total revenue per month,” says Cheyanne. Cheyanne also started a reactivation campaign: all users who have not purchased in over four months and have Quilter’s Cash from their rewards program receive an email reminder with their balance and a link to the website. One recent reactivation email saw a 37.98% open and 4.23% click through rate, with 1.36% recipients reactivated (i.e., they placed orders within a week). Smart tools for creating email and understanding its impact across their business. Ease of use so that the team can quickly create and test new campaigns. Expertise with a 24/7 support team and dedicated customer success managers helping over 74,000 customers make it to the inbox and drive business with email. SendGrid has been a great partner for Missouri Star, always ensuring that our transactional and marketing deliverability is top notch. Marketing Campaigns has made targeting segments of customers a breeze, and the drag-and-drop templates allow us to create new and uniquely styled emails every time. Whenever questions arise, our Customer Success Manager is quick to respond and help out in any way they can.